SATURDAY, SEPTEMBER 15th, 2018: SEASON SIX Begins at Essential Elements. Wednesday, October 31st: Studio Closed: Wishing all our dancers a happy and safe Halloween. Trick or Treat! Wednesday, November 21st-Sunday, November 25th: Studio Closed: Happy Thanksgiving, Everyone! Sunday, December 23rd-Thursday, January 3rd: Studio Closed: Peace and Happiness to all of our EEDS Families during the Holiday Break. Friday, January 4th: STUDIO CLASSES RESUME, Happy New Year, Essential Movers. 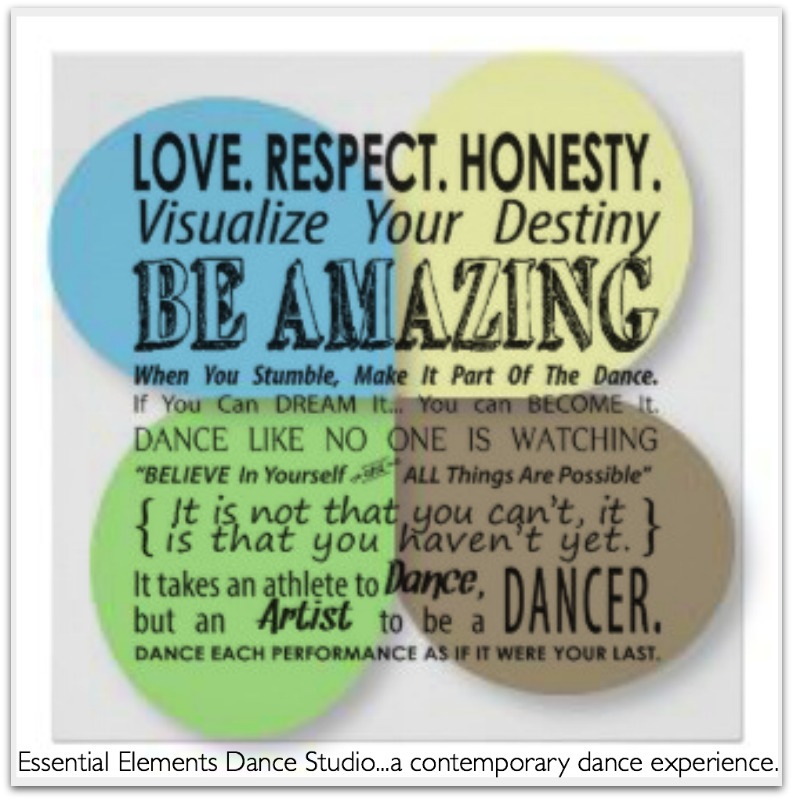 **FRIDAY AND SATURDAY JANUARY 11th and 12th: STUDIO CLOSED FOR CLASSES. ATTICUS and SCOUTS I: Choreography Weekend: Mandatory Attendance: Info and exact schedule TBA October 2018. Saturday, April 13th: Pre Registration Period Ends. Final Day to receive Complimentary Registration Fee, Season Seven Incentives and PRIORITY RECITAL DAY TICKETING. ***APRIL 29th-MAY 4th: COSTUME WEEK: Please note that all accounts must be current for dancers to receive costumes. Tuesday, May 28th: GENERAL TICKET SALES BEGIN. HAPPY SUMMER, EVERYONE: See you in Summer Classes! Wednesday, August 8th, 2019 FINAL DAY OF ESSENTIAL EVES OF DANCE.